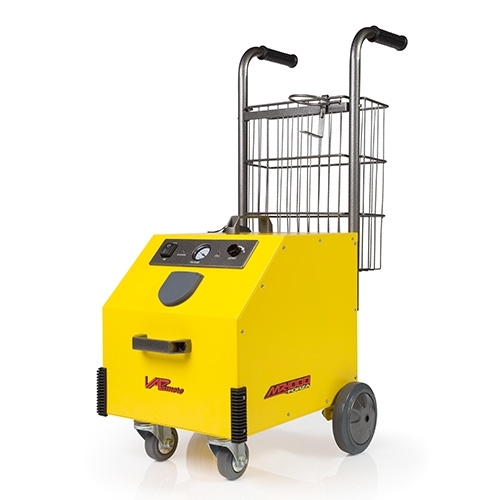 Vapamore MR-1000 Forza Commercial Grade Steam Cleaning System Offers a unique solution in preventing unsightly mildew growth. Safe to use on most marine surfaces and materials above the waterline, and can be used both indoors and outdoors. Non-toxic formula helps keep surfaces looking newer and cleaner longer. Vapamore’s flagship steam cleaner, the MR-1000 Forza Commercial Steam Cleaning System. The Forza is the pinnacle in commercial grade, professional steam cleaners. With over two years in development, the engineers at Vapamore set out to create the absolute best steam cleaner available. Performance, durability, and value were top priority when developing the Forza. The MR-1000 Forza features, commercial grade steel construction, continuous flow, computer controlled operation, Italian manufactured CEME® brand internal components, specially designed extra large stainless steel boiler with 1700 Watt heater, 90 psi steam output pressure, ETL certified, life time warranty and the largest selection of included accessories.